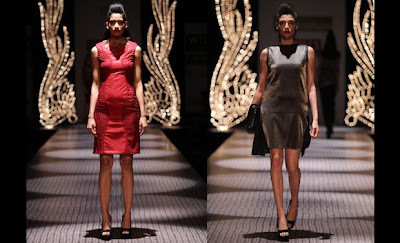 Wills Lifestyle India Fashion Week - A/W'13 - Best of Day 1 ! | The Shopaholic Diaries - Indian Fashion, Shopping and Lifestyle Blog ! 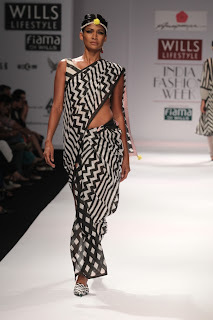 Wills Lifestyle India Fashion Week - A/W'13 - Best of Day 1 ! 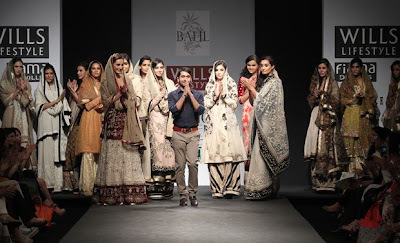 This post comes a little late, but I was busy with work and just couldn't get time to update you all with the highlights of the Wills Lifestyle India Fasion Week - A/W'13 which was organized at Pragati Maidan, Delhi last month. 'Fatal Vanity' - the collection is a true representation of the brand Annaikka - rough around the edges with a hint of harshness, yet beautiful in every way. Annaikka's muse is the strong, confident and independent woman who is ever experimental in her ways. 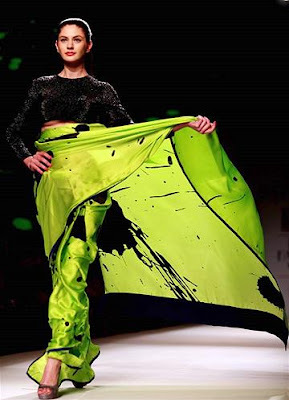 Masaba's collection for Satya Paul was titled "Every Neon Counts" which included trench coats, Satya paul’s signature sarees, gowns, short dresses and much more. 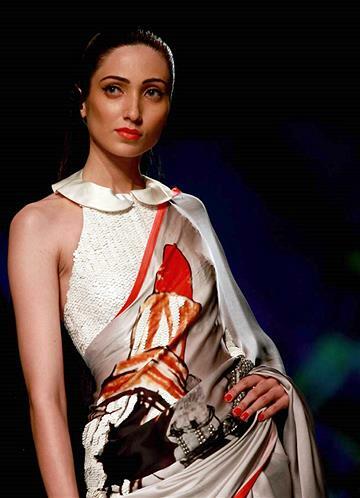 I surely fell in love with all the Lipstick Prints showcased during the show. Nikasha Tawadey's collection titled "Raat ki Rani" was a delightful juxtaposition of ethnic and contemporary. Pankaj & Nidhi presented their collection "The Music Box" which was a tribute to music and all the fascinating forms of orchestral musical instruments. The collection was rich in bright colors and comprised of skirts, dresses and pants in amazing textures and designs. 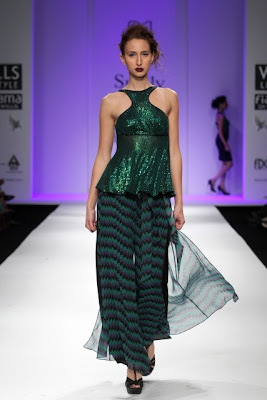 Surily Goel's autumn winter collection titled 'Spice Story', is inspired by the dark and deep jewel tones. "My collection is the Spice story and I have taken inspiration from jewel tones. That is why you saw a lot of black, gold, green and red," she said. Siddhartha Tytler's collection was edgy yet feminine with a dark theme where hues were mainly held in black and cobalt blue refined with beige and crème patterns, pearls and sequins. He used various metallic patchwork, beads, spikes and embellishments, adding an edgy, cheeky feature to his otherwise elegant designs. 'Chikankari' is native to Awadh, and Vineet Bahl's collection is inaugurated with outfits in this traditional form of embroidery set on ivory palette. Namrata Joshipura showcased her collection 'Wings of Desire' - where austerity and wildness accompany each other. The collection had sweatshirts paired with skirts and pants with embroidery in knit-like patterns. With edgy jacket dresses to add a slick of elegance. 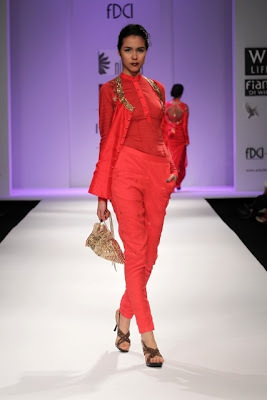 Anupama Dayal paid a tribute to the national capital - Delhi's past and present in her 'Ishq-e-dilli collection' which featured sharara inspired trousers, lehenga inspired skirts, jamas and angrakhas, tiered dresses and patialas. Loved the collections? Which one was your favorite, let me know in the comments below! 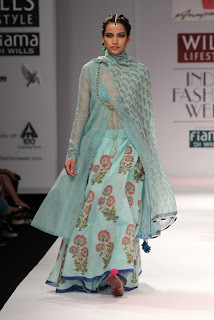 I love the chikankari collection..just amazing! This Rakhi a pleasant surprise is waiting for my brother. Thanks to www.rakhitoindia2013.com for their lovely gift collection. It has simplified my task to a great extent. Send Rakhi to India as you gear up with the exciting contents of this fantastic online store.